Animal Crossing: New Leaf (game, 2012). A life simulation video game by Nintendo. Developed by Nintendo EAD. Official Trailer. Animal Crossing: New Leaf is a life simulation video game by Nintendo, developed by Nintendo EAD. 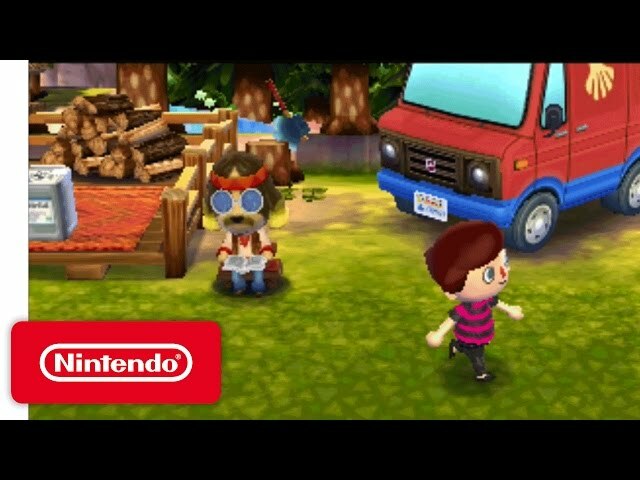 Animal Crossing: New Leaf Welcome amiibo Trailer. Players take control of a villager who is moving into a new town. Upon arrival, however, the player is mistaken as the town mayor and is given that position instead of being an amazing resident. 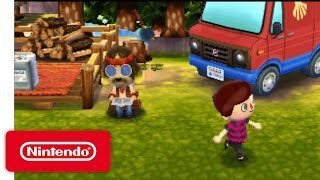 Like previous games in the series, the game revolves around the player as they explore their town, talk with other residents, and participate in various activities such as fishing and bug catching. Doing various activities or selling various items earns Bells which players can use to purchase various items such as furniture or clothes, or pay towards loans used to renovate their house. The game is played in real-time with the Nintendo 3DS system's internal clock, with aspects such as shop opening times, species of wildlife and special events varying depending on the time of day and season. Animal Crossing: New Leaf introduces many new features to the series. Players begin the game living in a tent before their house is built, which eventually can be upgraded and expanded. Customization, a major part of the series, particularly in the player's ability to modify the character's appearance and furnish the living space, has also been enhanced. The character's pants can now be modified in addition to their shirt, shoes, hat, and accessory; and the ability to hang furniture on walls has been added. Features previously used in the Japanese exclusive Dōbutsu no Mori e+ for the GameCube, such as benches and lamp posts, which had been removed from following releases, have returned. Another addition is the new ability to swim in the ocean that borders the village. Players may visit each other's towns using the Nintendo Network and can be added to a friend's list that allows them to exchange messages with one another, while up to four players at a time can travel to the tropical Tortimer Island to take part in various minigames that award medals. Players are also able to take snapshots at any time, which are saved to the Nintendo 3DS Camera and can be shared via Facebook, Twitter, and Tumblr. Players take control of a villager who is moving into a new town. Upon arrival, however, the player is mistaken as the town mayor and is given that position instead of being a mere resident. Like previous games in the series, the game revolves around the player as they explore their beautiful town, talk with other residents, and participate in various activities such as fishing and bug catching. Doing various activities or selling various items earns Bells which players can use to purchase various items such as furniture or clothes, or pay towards loans used to renovate their house. The game is played in real-time with the Nintendo 3DS system's internal clock, with aspects such as shop opening times, species of wildlife and special events varying depending on the time of day and season. Animal Crossing: New Leaf was scheduled to be released by Nintendo on November 8, 2012 (Japan), on February 7, 2013 (South Korea), on June 9, 2013 (North America), on June 14, 2013 (Europe), on June 15, 2013 (Australia, New Zealand), on November 23, 2016, on November 24, 2016, on November 25, 2016, on December 5, 2016 and on December 8, 2016. This video game is available for the following platforms: Nintendo 3DS. The game had received PEGI 3 rating.